Rudy Giuliani admits Trump wanted a Muslim ban, asked for help on doing it legally. Rudy Giuliani speaks to reporters at Trump Tower on Jan. 12 in New York City. Whatever they may say now, it turns out that President Donald Trump’s controversial executive order on refugees and immigration was actually the result of his desire to ban Muslims from entering the United States. Rudy Giuliani said as much in an interview, noting that Trump asked him for help on how to implement his desired ban. 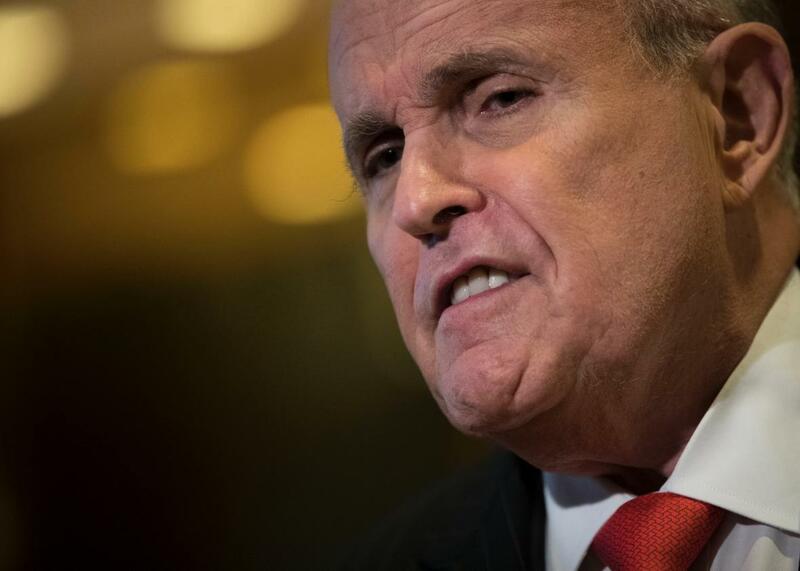 But now Giuliani has essentially admitted that Trump wanted to ban Muslims from the United States, he just knew that an outright blockade would be illegal, so he asked the former New York mayor for help. OK. I’ll tell you the whole history of it. So when he first announced it he said, “Muslim ban.” He called me up and said, “Put a commission together, show me the right way to do it legally.” I put a commission together with Judge Mukasey, with Congressman McCaul, Pete King, a whole group of other very expert lawyers on this. And what we did was we focused on, instead of religion, danger. The areas of the world that create danger for us. Which is a factual basis. Not a religious basis. Perfectly legal, perfectly sensible, and that’s what the ban is based on. It’s not based on religion. It’s based on places where there are substantial evidence that people are sending terrorists into our country.